Akhtem Chiygoz and Ilmi Umerov recently released members of the Mejlis, as well as Server Karametov, the 76-year-old Crimean Tatar activist were also present at the expanded meeting of the Mejlis of the Crimean Tatar people. Members of the Mejlis, public officials, activists, public figures, representatives of Spiritual Administration of the Muslims of Crimea, cultural figures participated in the expanded meeting hosted by the Mejlis of the Crimean Tatar people in Kyiv, November 6. 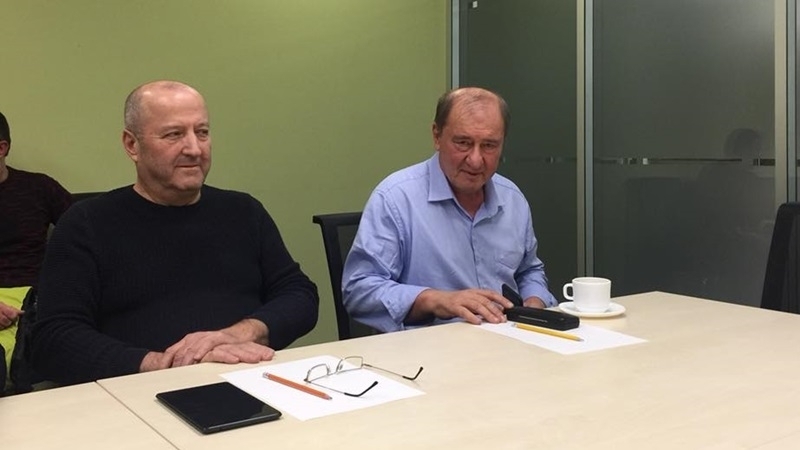 The meeting was attended by the recently released members of the Mejlis Akhtem Chiygoz and Ilmi Umerov. Server Karametov, 76-year-old veteran and Crimean Tatar activist, attended the meeting of Mejlis of the Crimean Tatar people as well. Server, who spoke at the beginning of the meeting, told about his single picket outside the building of the "Supreme Court of Crimea" which was the reason for his arrest and imposed fine under the pretext of "disobeying the police". The activist also urged the Crimean Tatars not to be afraid to confront and oppose the occupants. Earlier, QHA reported that Server Karametov was detained on August 8 for a single picket outside the "Supreme Court" of the Crimea. At the time of detention, the activist was standing near the courthouse with a placard with inscription in big letters saying "Putin, our children are not terrorists! Stop accusing the Crimean Tatars!" Crimean Court, controlled by the occupation authorities, fined the elderly activist 10,000 Rubles. Server Karametov was released after a 10-days arrest on August 20.